For this post, I have two very good nonfiction films to recommend and one must see film. 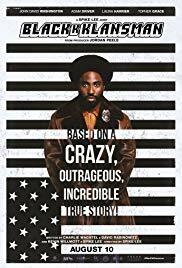 The first film on my recommendation list is Black Klansman. The story is well told and acted. I did, however, have a few issues. For one, it turns out that much of the film is fictional. There were a lot of things added that stretched the truth, like the fact that there was only one Klansman event involving the main characters in the story. The film also lacked conflict. The filmmakers tried to add conflict with a bombing and an encounter that threatened to expose the imposters, but neither plotline developed into anything. The latter was completely brushed aside. And while a cross burning is worthy of preventing, it’s not exactly life and death. Still, I enjoyed the film despite its flaws. 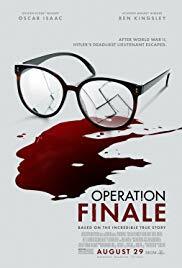 Next up is Operation Finale. This, too, was a well-acted film that suffered from the same lack of conflict that hampered Black Klansman. There is a level of intrigue and suspense as a team of Israeli special agents are sent to capture former Nazi Adolf Eichmann, who is held up in Buenos Aires. But once they do capture him, the suspense drops off. The next thirty minutes or so are spent trying to get Eichmann to sign a document saying that he agrees to stand trial in Israel. Once he does sign the document, the filmmakers create an Argo-like escape at the airport. Problem is, the whole reason for the document was to allow them to extricate Eichmann legally. Maybe I missed something. Lastly, I need to mention the film Searching. This is not a nonfiction film, but I so thoroughly enjoyed this film that it is on the top of my must-see recommendations. The entire film takes place on computer and phone screens. The film starts out with a ten-to-fifteen-minute scene reminiscent of the opening scene in the Disney animated film Up. Right around the thirty-minute mark, the main character’s daughter goes missing. 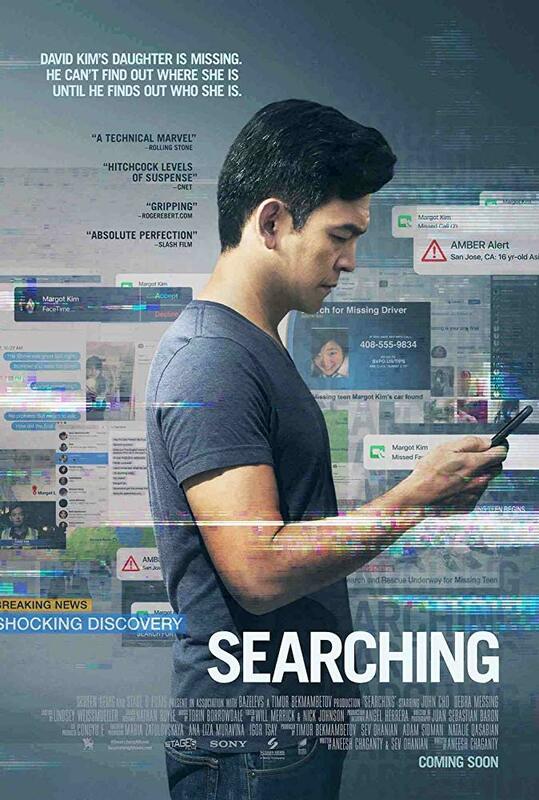 The father, David Kim, played expertly by actor John Cho, follows his daughter’s digital footprints as he tries to find her. This film is way more than a gimmick. I was glued to the screen (all of them) the entire time as I looked for clues in the images and text messages. There was one plot point that I missed involving a suicide. I’m still not sure if that person is dead or not. Don’t miss this one.